If certain parts of your body, such as your belly or thighs, are stubbornly resistant to losing excess fat, despite all your best efforts of eating right and exercising regularly, then you should consider liposculpture. The procedure may sound intimidating, but it is actually minimally invasive, taking an hour or two in many cases. Compared to more gradual treatments, such as CoolSculpting and Vanquish, liposculpture provides natural-looking results after a single session. Tumescent liposculpture is the most advanced technique available for permanently removing excess fat deposits in areas resistant to diet and exercise. 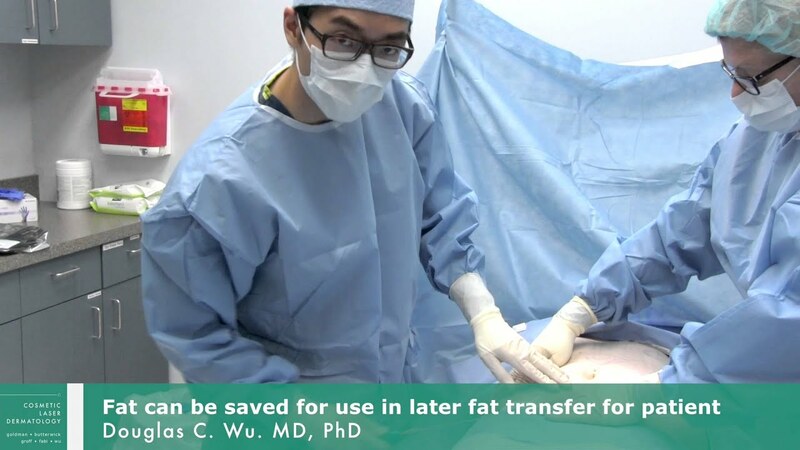 The fat removal procedure is called tumescent, which means “swollen,” because it involves the surgeon filling and swelling the targeted fatty areas with a special anesthetic solution. The solution completely numbs the treatment area, stops bleeding and thins the fat allowing patients to undergo the procedure with tiny suction cannulas that do not require any closing, without general anesthesia for a faster recovery. Our board-certified dermatologists are liposuction and fat removal experts, having authored over a dozen articles for peer-reviewed medical journals, spoken at national and international medical conferences, and contributed chapters to best-selling medical textbooks on liposculpture treatments. If you are ages 16-80, in good overall health, with fatty areas on the body that are resistant to diet and exercise, then you may be a good candidate for liposuction. And lipo is not just for women; if you’re a man looking to remove stubborn deposits of fat, you may be a good candidate, as well. Lipo treatments are not a method of weight loss. They are a supplement to your good eating and exercise habits. Furthermore, if you’re hesitant to have invasive surgery, a liposuction treatment is a good idea because it is done on an outpatient basis with local anesthesia while you are wide awake. You walk into and out of our certified operating room. Of course, we provide intravenous and/or oral sedation to make it an even more pleasant procedure. Ultimately, both liposuction and liposculpture are the same procedure. The main difference is the instrument that is used. During a liposuction, a small cannula is used to remove fat, during liposculpture, the much thinner microcannula is used. 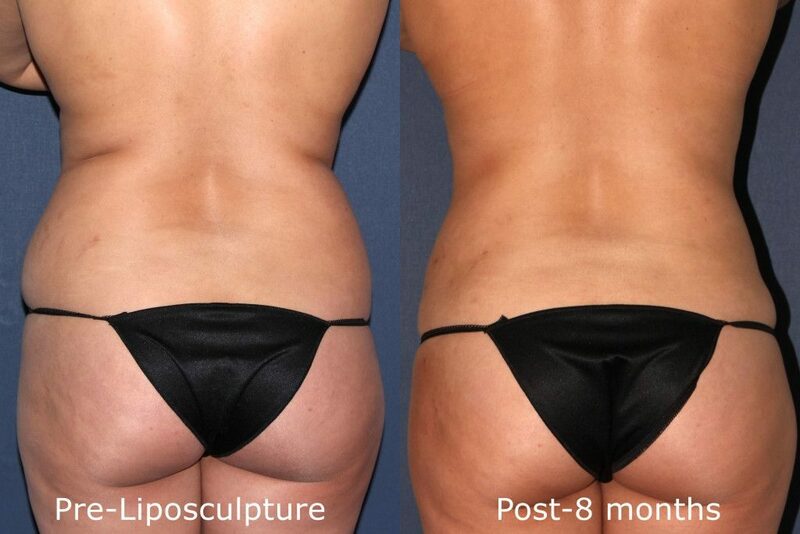 This allows your body-contouring specialist to artistically sculpt your body. The result is smooth and natural-looking contours without any telltale signs that you’ve had liposuction treatment. If you have small pockets of fat, then why not schedule a consultation with one of our body sculpting experts to understand how the procedure works and how your appearance and self-confidence will be forever changed. With more than 100 years of combined experience, our fat removal experts will work with you to determine your aesthetic goals and the right treatment plan to achieve them. Typically, the recovery time following a minimally invasive fat reduction treatment is relatively short. You should be getting around normally and already returning to your usual work schedule within a few days with only mild discomfort. In most cases, you can remove the healing compression garments that help optimize recovery within 2-3 days, allowing you to resume normal physical activity, although this varies from patient to patient. Although you may see noticeable results within several weeks, it takes 3-4 months for the full results of liposculpture treatment to be seen. 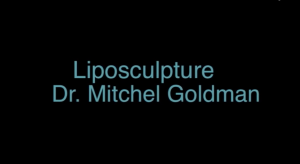 At Cosmetic Laser Dermatology, our physicians are liposculpture experts. 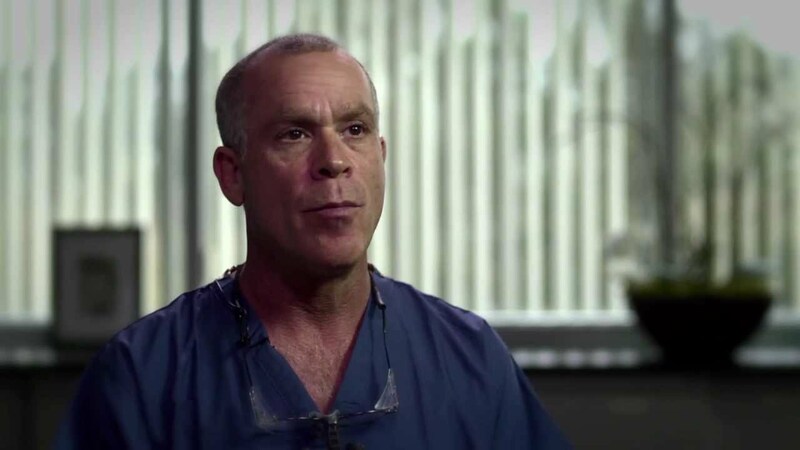 In fact, our doctors perform the procedures, one of the few San Diego dermatology practices that do so. Our friendly, compassionate practitioners are committed to your health and safety and dedicated to helping you reach your aesthetic goals. 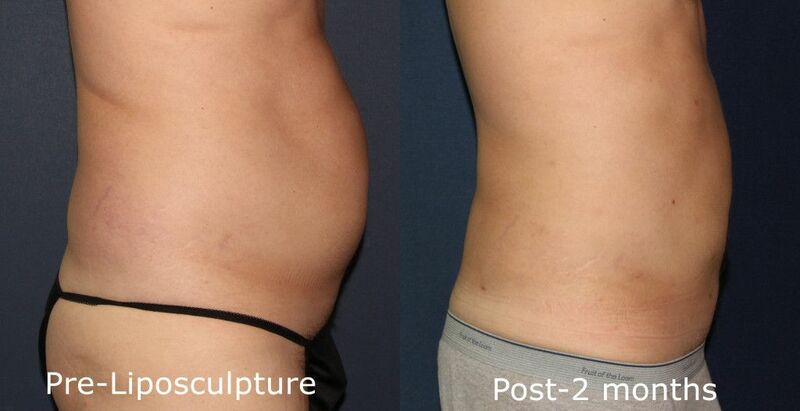 To learn more about liposculpture visit medlineplus.gov or contact us today to see how this minimally invasive procedure can help you achieve the body you want. 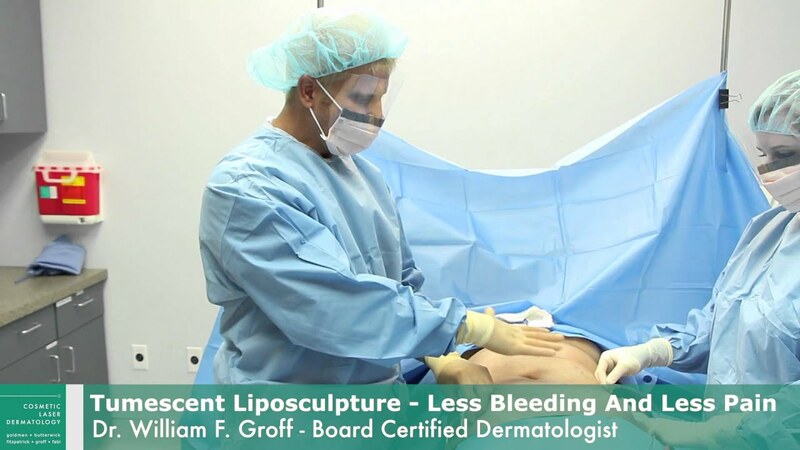 Liposculpture to the knees by Dr. Groff. Results are 7 months post-op. Q: How do you know what the right amount of fat is to remove for thigh Lipo and not have loose skin? A: When you consult with a board-certified dermatologist about liposuction, they will assess the volume of fat you need to have removed as well as the quality of your skin. A large volume of fat and loose skin could indicate that liposuction is not right for you. If you have some loss of elasticity, but not a significant amount, your doctor may recommend adding ThermiRF/ThermiTight, Thermage, or Ultherapy to your treatment plan. If your skin is just a little loose, the skin tightening from liposuction (particularly laser or radiofrequency-assisted liposuction) is often enough. You may also consider non-invasive fat-reducing Vanquish and CoolSculpting, which work more gradually. That’s why a consultation with a board-certified dermatologist is so important, as they can help you choose the right treatment combination. Q: What’s the downtime for tumescent lipo? Could I have it done over a long weekend? A: Everyone responds differently. We generally recommend that you avoid strenuous activity for 1-2 days after your procedure and wait a full 1-2 weeks before going back to your full routine, including exercise. As your body may be swollen and uncomfortable, you should wear a compression garment to minimize these side effects for a few days. Please talk to a board-certified dermatologist with expertise — and not just a good price — about your treatment. Q: I had lipo done to my lower stomach, but I think I look bigger – is this supposed to happen? A: It’s normal to be swollen after tumescent liposuction, as the procedure triggers your immune system to kick in and heal the treatment area. Swelling means that your body is functioning well. The swelling peaks 2-7 days after the procedure and then slowly improves over the ensuing weeks. Please wear the recommended compression garment and follow all after-care guidelines. Walking a lot helps, as this low-level cardio exercise can reduce the swelling very quickly. Q: What is the best solution to tighten a double chin and define a jawline? A: At Cosmetic Laser Dermatology, we like to combine ThermiTight with liposculpture to treat early signs of aging in the neck, such as sagging and a double chin. The combination of removing fat and tightening the skin vastly improves the look of the neck and stimulates collagen production to keep it looking youthful for longer. Other means of reducing chin fat, such as Kybella, helps dissolve unwanted fat, while CoolMini or Ultherapy or Thermage FLX can be used to tighten skin along the jaw. Consult a board-certified dermatologist to help choose the ideal treatment for you. Q: Does laser lipo on the pubic mound, also tighten the skin? A: The laser component of laser liposuction heats the skin to produce tightening. 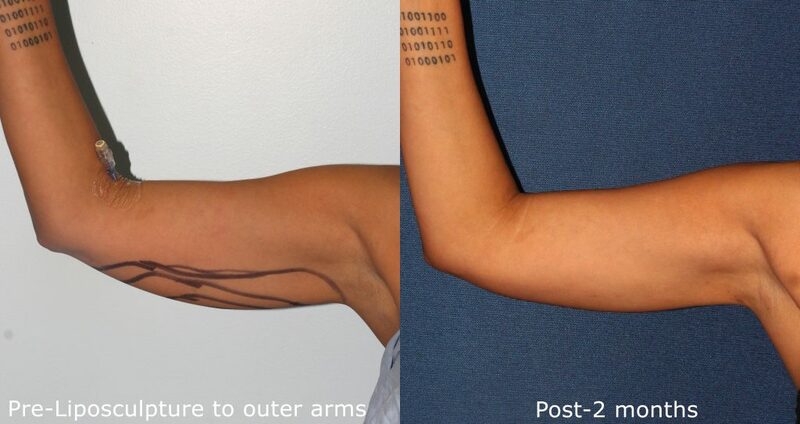 We now prefer radiofrequency tightening. Liposuction itself sometimes has a slight skin-tightening effect, depending on your age and the quality of your skin. When you consult a board-certified dermatologist, he or she can determine from your skin quality if you’d benefit from laser lipo alone, or if combination therapy with radiofrequency energy (ThermiTight) or ultrasound (Ultherapy) would help. Q: Wondering if liposuction would help me with weight loss on my belly? A: Liposuction is not a weight-loss procedure. However, it does remove inches of excess fat from areas like the abdomen. You may be an excellent candidate for lipo, but this can only be determined in person. It’s possible that a non-invasive fat-elimination technique, such as Vanquish, CoolSculpting, or ThermiTight, would be more beneficial. Please consult a board-certified dermatologist to know which is right for you. Q: Should I partake in CoolSculpting or liposuction? A: You could see great improvement in your figure from either CoolSculpting or liposuction. The best procedure will depend on your goals. For example, if you want to avoid surgery entirely, CoolSculpting is your choice. However, you may need several treatments, in which case liposuction may be better because you can have all of your excess fat removed at once. Consult with a board-certified dermatologist to explore both options in more depth and choose the one that works best for your needs. In some cases, both treatments may be recommended for the best possible results. Q: Where does the fat get taken out of for an inner thigh lipo? A: Generally, inner-thigh liposuction is performed on the bulges at the top of your inner thighs that tend to brush up against one another when you walk. This is done to create the trendy look of “thigh gap.” However, your liposuction procedure depends on you. Your board-certified cosmetic surgeon’s responsibility is to make your legs look as beautiful as possible. If you’d benefit from removing fat from other areas, too, that would be discussed during your consultation. You may also want to consider non-invasive fat-elimination techniques, such as Vanquish, CoolSculpting, and ThermiTight. Please consult a board-certified dermatologist who is an expert at sculpting the thighs with liposuction and other fat-elimination modalities. Q: How long should I avoid tight underwear/clothing after lipo? A: Wear your compression garment as directed by your doctor. When having tumescent liposculpture performed by a dermatologic surgeon, a compression garment is only necessary for the first few days. When liposuction is performed under general anesthesia, the compression garment needs to be worn much longer. Wear loose clothing for the first three months, while your body is healing. Please consult with the board-certified dermatologist who treated you for more information about your aftercare. Q: What could be done about my small stomach pooch after weight loss? A: You could be an ideal candidate for tumescent liposuction, which would remove the little pooch below your navel and permanently eliminate the fat cells. You may also want to consider non-invasive fat-elimination techniques, such as Vanquish, CoolSculpting, and ThermiTight. These take more than one session, but there’s no downtime, which may work better if you’re busy. Please consult a board-certified dermatologist who can offer you a variety of options. Q: Will lipo give me a six pack abs? A: You could be an excellent candidate for high-definition liposculpture using mini cannulas to get six-pack abs. With traditional tumescent liposuction, we always leave a slight layer of fat so that the skin looks smooth and natural. For adding definition to muscles with liposculpture, we actually remove the fat that outlines the muscles, making them stand out more. Of course, the way you look will depend on how your muscles look, which requires some physical workout. Please consult a board-certified dermatologist who can show you great results from this procedure, because it takes skill to accomplish well. Q: What's the difference between laser lipolysis and liposculpture? A: Laser Lipolysis is different from Liposculpture treatments in that it adds a skin-tightening element. With smaller incisions, you’ll have a quicker recovery time. At Cosmetic Laser Dermatology, we often get optimal results by combining laser liposuction with traditional liposculpture treatments. To find out which body sculpting treatment is best for you, please consult a board-certified dermatologist today.